We carried this through social by creating relevant answers to the "American Cheese" problem. We used Instagram's unique experience to tell this story in an innovative way. 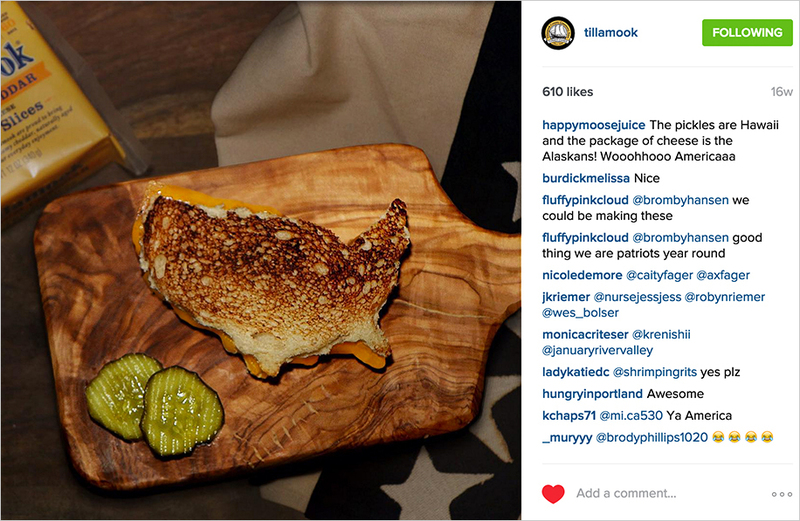 We also encouraged users to celebrate their independence from processed cheese with a coupon for Tillamook Cheddar singles.